M.O.H. @.L.Y.I.C.S ©: 856) 7 years of Blogging :::: Where Am I today?! I am happy about the very last statement you wrote summarizing what life and happiness are all about. I am happy with the "new" satisfaction i can feel and clearly see in your words. i am happy the things you had to "replace" were "only" expensive goods with practical ones. this is the easiest choice you can make in life. some other "replacements" could be more difficult. i am happy you were spared such. i am happy you are winning most of your struggles with yourself and others, even if some get lost, still you are doing fine. I am happy about the gratitude that shines from your words. if you only reached this, you are sure on the right track as human- and for me this is more than enough to know about you. the right track is such a wide area, but the good thing is that it is flexible to adjust as well. getting into your 40s could be different - or not. that could change in a minute - or not. leave it till then. I am happy you started meeting your friends in person. i was wishing you this for quite some time now. there was the time when i felt you spend too long time behind the screen, or let me say "virtual" rather than in person. and that is dangerous trap we all fell in for some time. This IS different. it makes you smile often. I am happy to see the smile at the end of the post as well as feel it all over. Seems that I am finally getting "Mature" .. ! Yes.that's what i have been telling myself too. You are getting there. Nothing bad meant, i can only trace some disappointments and hurt that u have managed to cope with in a good way. Only this way we mature and learn to be grateful and appreciate even the smallest pleasures. Matureing has actually nothing to do with age, u know. Pain is the best "fitting tool" into the model of human being. So this means you are back permenantly or just for the blog' birthday? And u didnt answer: how come it is posted today with thursday's date? Oh finally you posted here again ... 7amdellah 3la el salama . May be you stopped writing on the blog six months ago , but I never stopped reading nor learning from your writings. But why it appears to be posted at 27th of February ? Finally, I'm SO glad to have you back, i always check the blog to see if you are back or not and i was quite sure that you will be back in its birthday :). I am very happy that in this long time you did some self-care and energized some old and golden habits. Please don't stop blogging again. you were missed begad.. 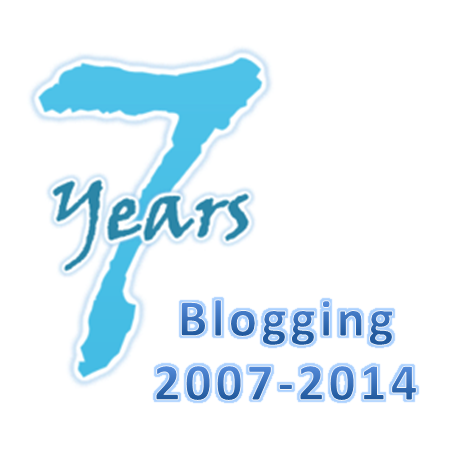 Happy birthday to your blog and wish you best of luck in 2014! Happy years ahead to come inshaa Allah Dr. Mohamed! You inspire others with your writing & sharing your thoughts will help us in many ways .. Be sure of that! I didn't find posts for 2016 ..?? Akeed u wrote many but you didn't publish..why? Thank you... I didn't write anything other than linkedIn professional articles. This is even the first time to access my blog since summer. I have a serious mental and emotional block. Is it today ? ?27th Feb? ?